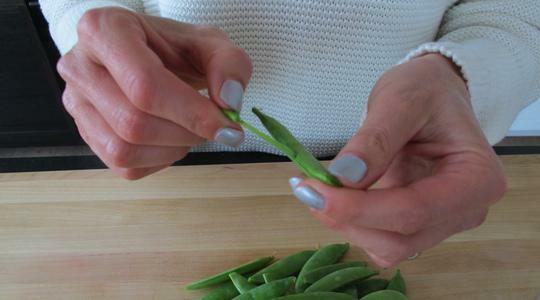 Using your fingers, snap the stems off the snap peas. Often, a string is attached to the stem. Pull and discard both. 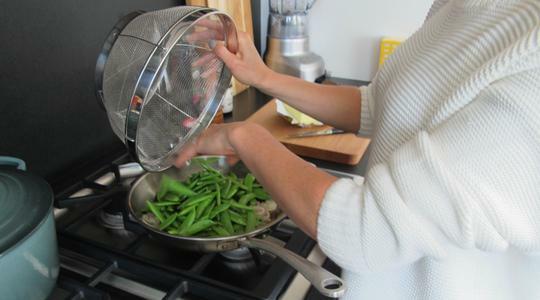 Place the snap peas in a strainer and pass under cool running water to wash. 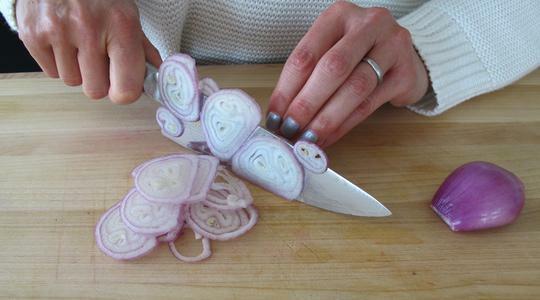 Using a chef’s knife, trim off each end of each shallot and peel. Slice into thin rings. 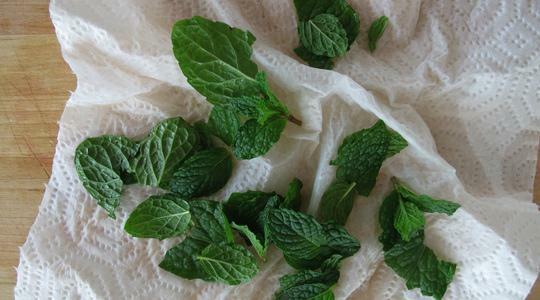 Wash and dry the mint leaves. Place your medium skillet on the stove and turn the heat to medium. Add the butter. Once it’s melted, add the shallots and cook, stirring with tongs, for 1 minute, until softened. Add the snap peas and cook, stirring often, until crisp-tender, 3 to 4 minutes. Stir in the mint, salt, and pepper (about 12 turns on a pepper mill). Serve immediately.